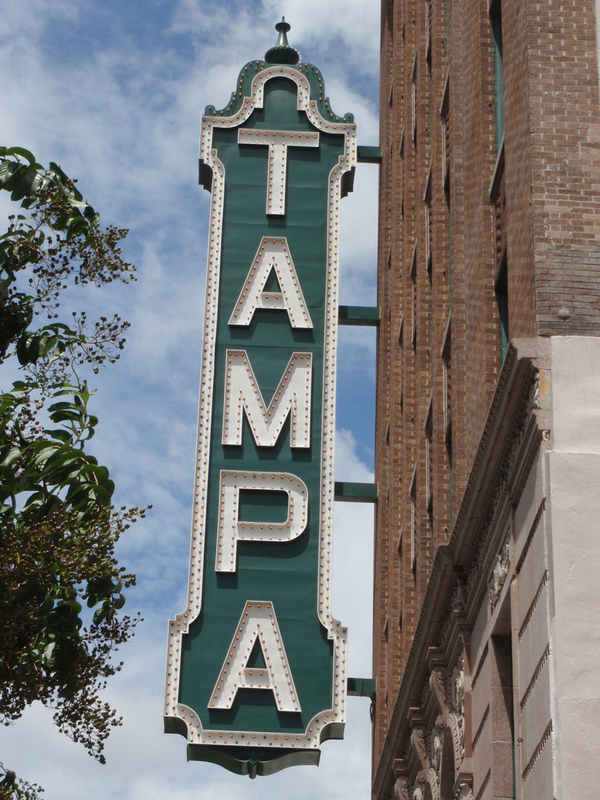 The Tampa Theatre is a historic landmark in Tampa's landscape. With almost 100 years of history, the Tampa Theatre is unmatched. 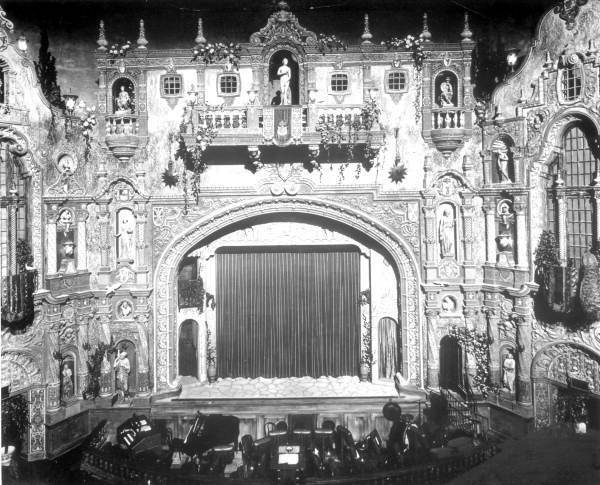 In 1926, the crown jewel theatre of America, also known as the Tampa Theatre, was built. The renowned theatre architect John Eberson created the unique design for the theatre. The Tampa Bay Theatre defines his work as “atmospheric ”. When guests enter the theatre, they enter a Mediterranean courtyard with old world statues, flowers and gargoyles. Through out the theatre, the ceiling looks like a night sky with stars sparkling above the guests heads. 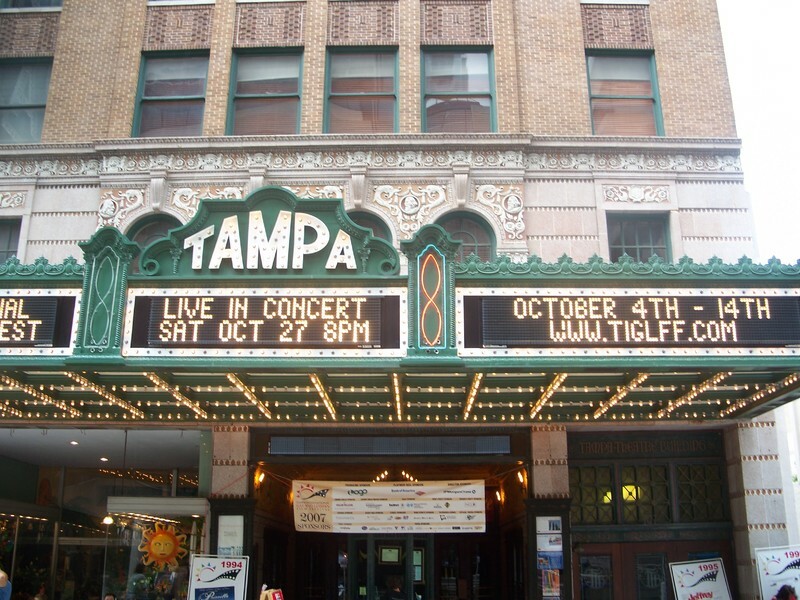 Tampa Theatre was the first of it’s kind, providing the first opportunity for normal, middle class people to enjoy the lavish experience of going to the theatre for only $0.25. During the 1920’s, the country began to adopt national pass times such as watching sports and going to the movies. More than 90 million Americans were going to the movies weekly during the 1920s . The Tampa Theatre thrived through the country’s ‘innocent years’, providing countless hours of entertainment to hard working Americans. However, in the 1960s with the Cold War at its height, Americans migrated out of cities and into the suburbs, and Tampa was no exception. With all of Tampa Theatre’s business moving to distant suburbs and buying their own personal television sets, the Theatre began to suffer. By 1973, the Tampa Theatre was set to experience the same fate as most movie theatres around the country did: demolition. This was only until Tampa citizens caught wind of the theatre’s sad fate and took action by forming committees, fundraisers and getting local governmental leaders involved. By 1977, the citizens’ hard work and extreme dedication had the Tampa Theatre reopened and ready for business. This was one of the first efforts to save a local landmark that was packed full of history. The citizens’ efforts were later duplicated to save other local gems in other cities and states. Some even call their efforts a “national model ”, because the community banned together and bought the theatre for just $1. In 1978, all of these efforts were combined to place the theatre on the US National Register of Historic places. The theatre that was once set to be destroyed is now an outstanding non- profit theatre that is one of the most successful of it’s kind. Through hosting over 600 community outreach events each year, including current and classical movie screenings, corporate and private events and educational sessions, the theatre is thriving. Testimonies from native Tampa residents prove that this theatre always has and always will have a true impact of the culture of the community. Throughout the years, the theatre has undergone several restoration projects to maintain it’s unique charm and elegance while still keeping up with the most advanced technology. Through doing this, the theatre has made itself an unmatched, unique place to see a movie, hold a charity event, birthday party or educational session while being immersed in rich Tampa and American history. 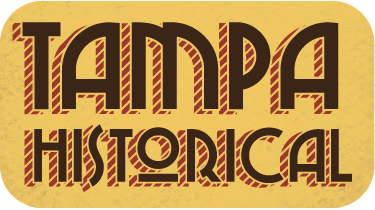 Erin Chisholm, “The Tampa Theatre,” Tampa Historical, accessed April 20, 2019, http://tampahistorical.org/items/show/27.